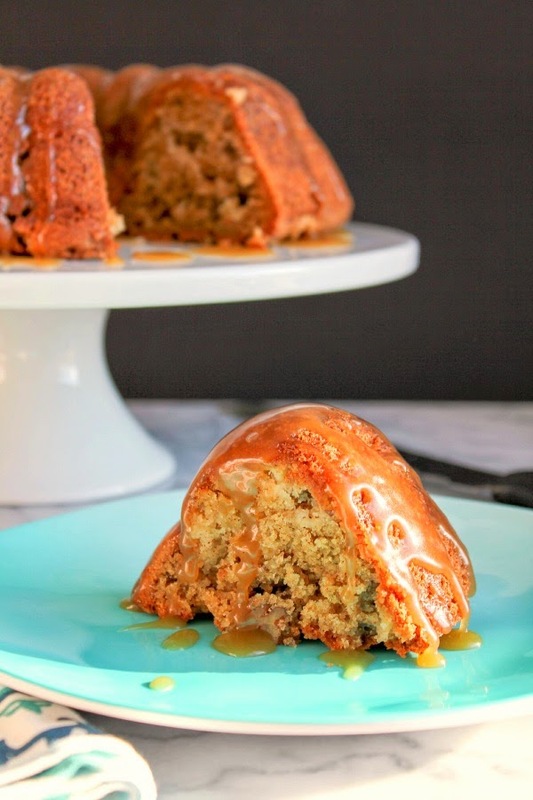 This delicious cake is filled with Michigan apples and pecans and topped with a decadent salted caramel drizzle. It's a great dessert, but I love eating it for breakfast with my coffee! Today I'm really excited to be the Guest Blogger over at Michigan Apples! Last year I was blessed to go on an amazing tour with them, and I learned firsthand the history of apple orchards, the growing process, the picking process, and so much more. It was such a fun day and I learned a ton! (You can read all about my experience here) When I came back all I wanted to do was cook with apples. The great thing is that apples can be used in both savory and sweet dishes. They are very versatile like that. The first recipe I created once I was back home was an Apple, Fig, Feta and Arugula Pizza. A sweet, spicy and savory treat that my whole family loved. 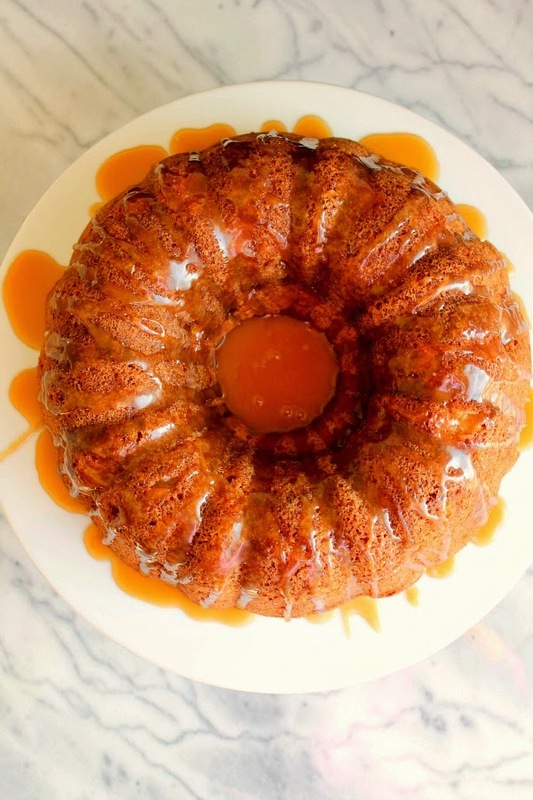 The recipe I'm sharing over on their blog today is a delicious Apple Pecan Bundt Cake with a Salted Caramel Drizzle. The cake is light and airy and full of honeycrisp apples. (These apples are my favorite kind!) I prefer to use Michigan Honeycrisp but I know they are hard to find this time of year. Don’t fret, another sweet Michigan-grown apple, such as Gala or Fuji would be a perfectly fine substitute! The drizzle is pretty darn amazing, but doesn't make the cake too sweet. I love this cake because not only can you eat it as a dessert, but it's perfect for breakfast or brunch with a cup of coffee or hot tea. 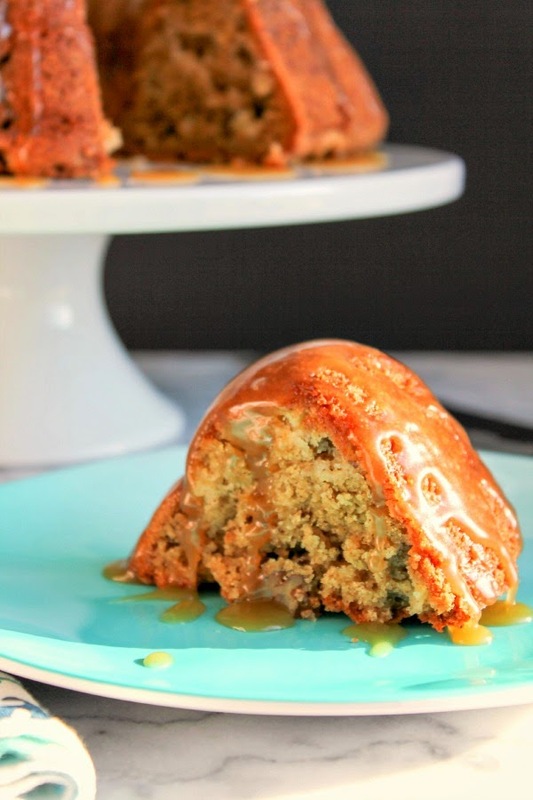 Head on over to the Michigan Apples blog now to get the recipe for this amazing Apple Pecan Bundt Cake with Salted Caramel Drizzle! Disclosure: This was a paid guest post written by me on behalf of Michigan Apples.